You have come a long way, young jedi! 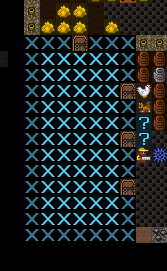 Your dwarf herding skills are strong! 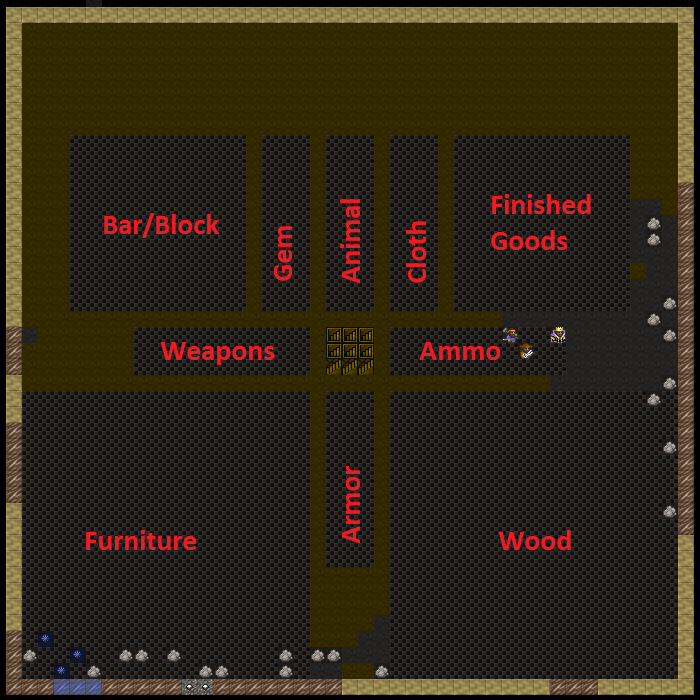 You now know the basics of building, production, trading and managing your dwarves. This is probably a good time to go read the tutorial on trading - it ties in pretty well with a large industrial base. Tutorials are designed be skippable though, so if the thought of heavy industry excites you, we can dive right in! While those places get built lets look at expanding a bit. In the middle of our four room area we have three stairs going down. Right now they go nowhere, so lets go down about 5 levels. Remember, d and then i for Up/Down Stairs, set to the level below, will get that construction going. We also have room to expand between our production floor and our entrance, so lets go up a level and put some storage there. I suggest the easiest way to do this will be to b, build a C constructed up-stair. So chose the space I highlight below, and then follow along! Hit u for Up Stair. Now we want to connect this level to the one above. If you go up a level you won’t see anything but dirt, but we know the stairs are leading up to this level, so it’s a matter of constructing some, right? WRONG! We want to designate some stairs, because our miners will carve out some matching stairs! We only use Construct when we’ve got an empty space to deal with. Hit i for Up/Down Stair (we want a series of stairs almost back up to the surface). You’ll note I wasn’t quick enough when I took this picture and two of my three stairs are already dug out. Good dwarves! Hit r for Resize Room. Hit s for Smooth Stone. Select the entire dining room and walls using Enter, move cursor, Enter. Any dwarf with the Stone detailing labour on will now set about smoothing the walls and floors. 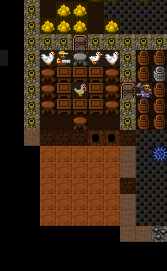 The next step, once the space is smooth, is to designate the room to be engraved using d, e. Engraved walls make dwarves happy and increase the value of your fortress. You can even look at them by using k and hitting enter with the engraving highlighted. 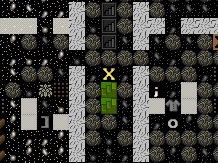 Some walls have some quite amusing engravings (randomly generated and based on the history of your dwarves and your fortress), so it’s worth looking around and finding the good ones. The better the quality of the engraving the more text there is to read, so keep an eye out for the engravings with the metal-bars icon next to them. Pretty complete huh? Well, almost, I’m sort of tempted to make a stone pile and using custom settings have it as metal ores only. It would make things a bit tidier, but on the other hand probably doesn’t gain me that much efficiency right now. 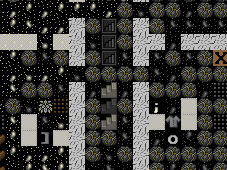 Be very careful with stone stockpiles, hauling stone can consume a heap of your dwarves’ time, which is a bit pointless. We’ve got some new workshops set up, we’ve got some great storage, and we’ve dug down a few levels. Good stuff! Unfortunately, (or fortunately?) you’ve probably had a bunch of immigrants arrive over the course of the past couple of tutorials and they haven’t been assigned anywhere to live. We also don’t have any space dug out for the inevitable arrival of nobles, and these boys and girls are one set of dwarves that need hard work to keep happy! Fortunately we’ve dug down a few levels and we have a lot of nice rock down there. So lets go take some time to lay out some great bedrooms for our dwarves. 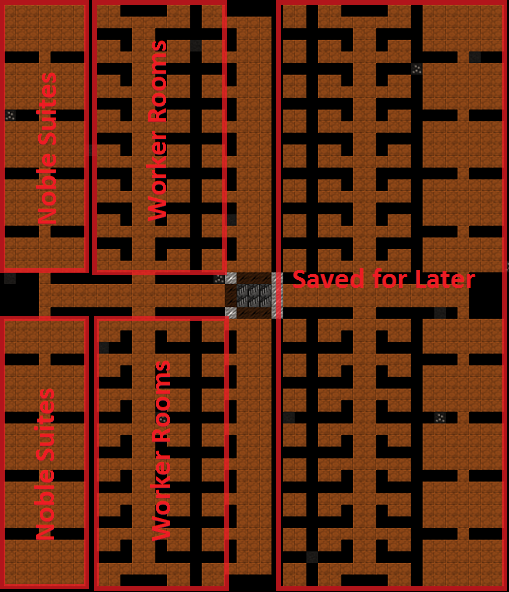 The majority of your rooms should be 2×2, but lets make some space for nobles too. A couple of points. Firstly, the whole right side of my new bedroom level won’t be dug because it’s not connected to the stairs, etc. I’ll connect it up later once we’ve got the left side done. Second, my layout is pretty boring, go and check out some of the bedroom designs on the wiki. I love the fractal pattern! Very efficient! Finally, you’ll notice the big wide corridors for the main arterial routes. 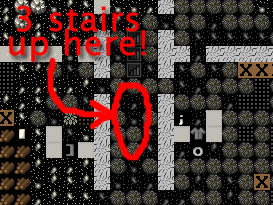 dwarves need space to move around, remember! Oh dear! Something is going down in dwarf land! 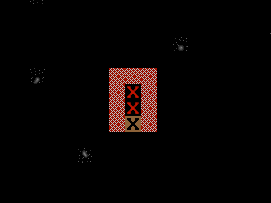 If you get a dwarf in a strange mood, find them using u, looking for their name, and then c. You will see the dwarf flashing with a grey exclamation mark (red is very bad, by the way). Follow this dwarf closesly. 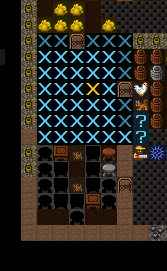 This dwarf has got a strange mood and is off to claim a workshop to start building some amazing object based on their whim and fancy. We can’t control what they build, all we can do is hope they build something cool and that they can find all the materials they want for their fancy. If not, they go suicidal or homicidal. Oh dear! Lets watch and see what happens. Of course, this event is random, so it might not happen to you at this point in the game, but it will happen sooner or later. Endok Oltarisos has begun a mysterious construction! Endok Oltarisos, Tanner, has created Modonnokoi, a dog leather cap! ..or maybe not! Our dwarf has made a cap, a simple hat, out of dog leather! Damn! On the plus side though the dwarf has become a legendary tanner. If they gain skill from a mood it often leaves them Legendary, which is pretty neat. With legendary skill I could use Endok to make leather armour and it would be almost as good as metal armour. Lets look at the item. If we hit l we get a list of artefacts. With only one artefact there’s no list, so we can go straight in to hitting v to :guilabel`View`. Behold! Triberiddle, the dog leather cap! A nice hat depicting when one of the trade caravan guards shot a goblin. No one will wear it though, it’s an artifact, and only champions are important enough to grab artifacts from stockpiles. We were lucky this time with our moody dwarf. He was able to get everything he needed to make his artifact. If he couldn’t find it he would go quite crazy in the workshop, or if a suitable workshop isn’t available, in his room. 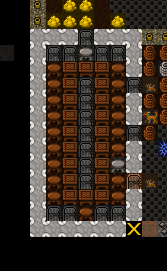 When you see the dwarf start to go crazy (flashing down arrows and not moving from their workshop are a good sign) it’s time to either assign the dwarf some war dogs (more on that later) or to construct some walls and wall them in to their workshop, or to lock the door on their quarters. At some point the dwarf will go beserk and either get attacked by nearby military dwarves or war dogs, or if locked inside, slowly starve to death. If the crazy dwarf is ignored they will destroy stuff and attack dwarves, probably killing a couple before they are put down, so watch those moody stunties closely! In the next chapter, we’ll cover traps - used to “mine” a kind of iron ore the community calls “goblinite”. See you then! 5.3. Dwarves and their strange moods!